SPENDING his 21st birthday on the battlefields was not the ideal place of celebration for Warwick's Ken Ashton. Leaving his home town of Murwillumbah, New South Wales in 1967, Mr Ashton was shipped to Vietnam to serve his country. At 20-years-old he was a petroleum operator, performing a wide range of technical fuel functions in war zones. Mr Ashton assisted on fire support operations, ensuring the aircraft was ready to take off at a moments notice. "We would carry a bladder of fuel under the chopper and we had to be prepared for anything,” Mr Ashton said. Following in his father and grand father's footsteps, Mr Ashton had some mind of what to expect when deployed. "We had a fair idea in pre-training when we were put through the hoops,” he said. "And I knew the stories from my father in WWII and grand father in WWI. 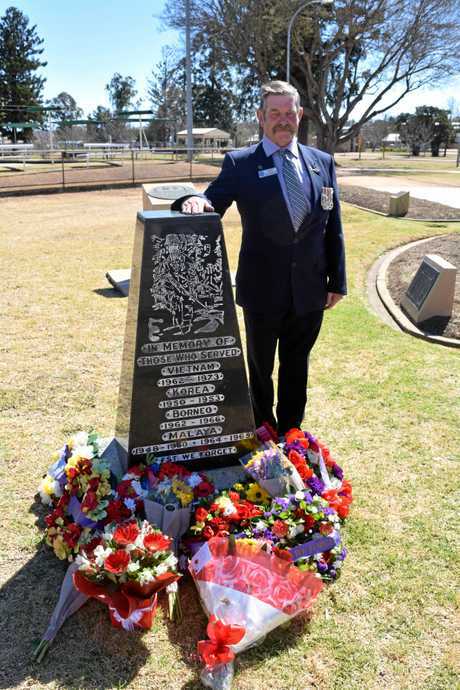 Now the president of the Southern Downs Ex-Services Association Queensland Incorporated, Mr Ashton pays respects to all those who have served. 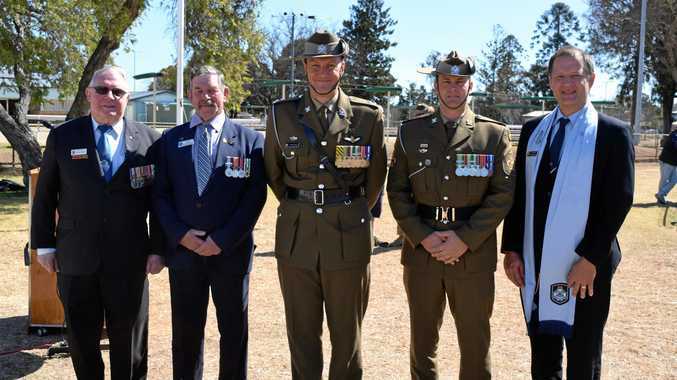 Commemorating the 52nd anniversary of Australia's involvement of the Vietnam War, members of services and the public gathered at Leslie Park today to honour Australia's war heroes. A total of 80,000 Australians served in Vietnam of which 521 were killed and 3000 were wounded. Guest speaker of the day Lieutenant colonel David Lynch said we should draw deep pride from those who have served our country. "The soldiers deserves every accreditation for their efforts defending the nation,” LTCOL Lynch said. 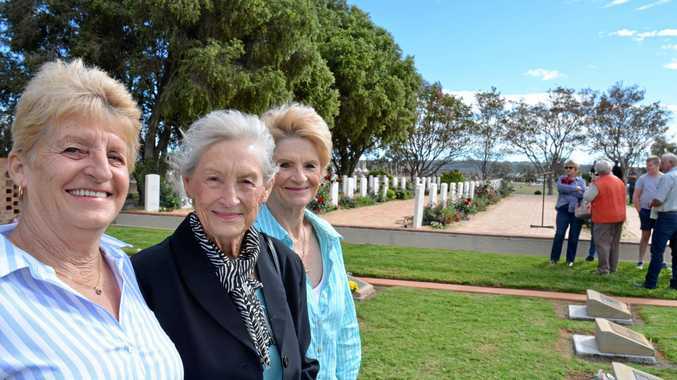 "It is important to draw from the sacrifices these soldiers made, so their efforts do not go unnoticed. Warwick has honoured Vietnam Veteran's Day with a service for the past 15 years. Mr Ashton said it is a day for all to come together and commemorate the lives lost both past and present.